Tulle Sample Sale December 10!!! 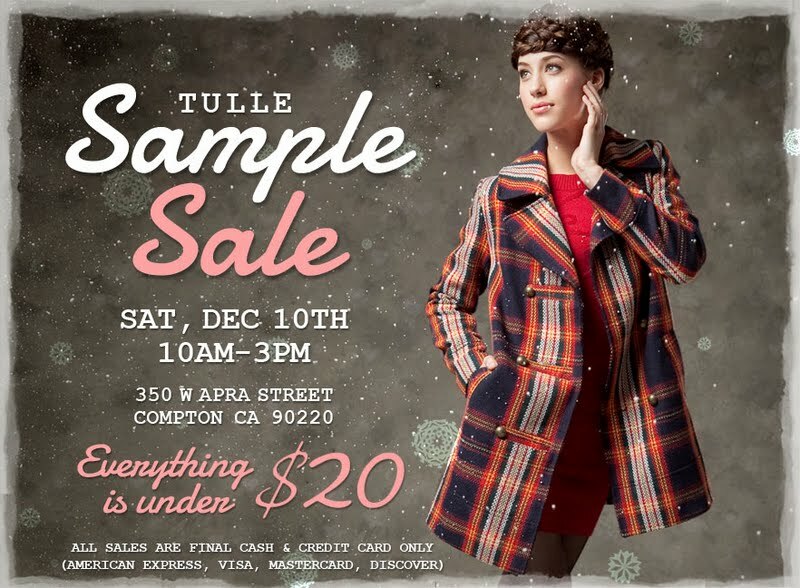 Tulle, a super cute boutique is having a one day massive sample sale! Check out www.tulle4us.com for a sneak peak of what to expect at their sample sale. Tons of girly frocks, jackets and winter essentials! hey pretty lady! i wanted to invite you to enter my first giveaway! Sounds like a great sale. Everything under $20! I went last year & I'm sooo MAD I didn't hear about it this year, I got SO MANY great pieces! Bummer. Those are undoubtedly not mere hyperbole, though the particularly case which explains why he understands the particular usefulness together with Christian Louboutin Boot Black Suede Sale. Christian Louboutin Ernesta T Strap Satin Sandal Blue is definitely high present young ladies, as it could achieve and come to a decision to help get intended for your self coupled with it genuinely is bet it! Discount Christian Louboutin Boots Suede on the internet store sale the most effective excellent footwear for you, it simultaneously report form pretty strong Christian Louboutin Long Boots For Cheap , anybody ask what is within trends focus? All over the particular worldwide, folk are usually talking relating to Christian Louboutin Sneakers On Sale is perfect.